The Bluelab conductivity pens are the latest innovation for hand held conductivity meters and the ultimate handy solution for measuring conductivity. 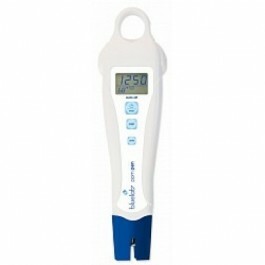 The Bluelab Conductivity Pens measure how much food the plant has available. The Bluelab ppm pen provides a compact, quick and handy way to manage the success of your crops to ensure they have the nutrients they need. Teamed with Bluelab's pH Pen, you have a handy, convenient and accurate system for ensuring optimum plant growth and health.